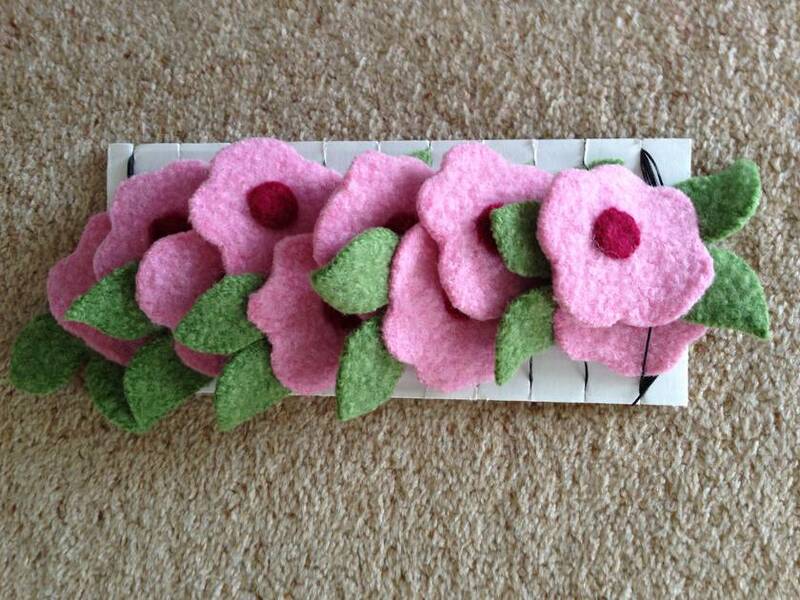 This pink rose garland is handmade from wool felt. I make the felt myself by knitting NZ 8ply Corriedale wool into sheets and then shrinking it down to a dense and sturdy felt. 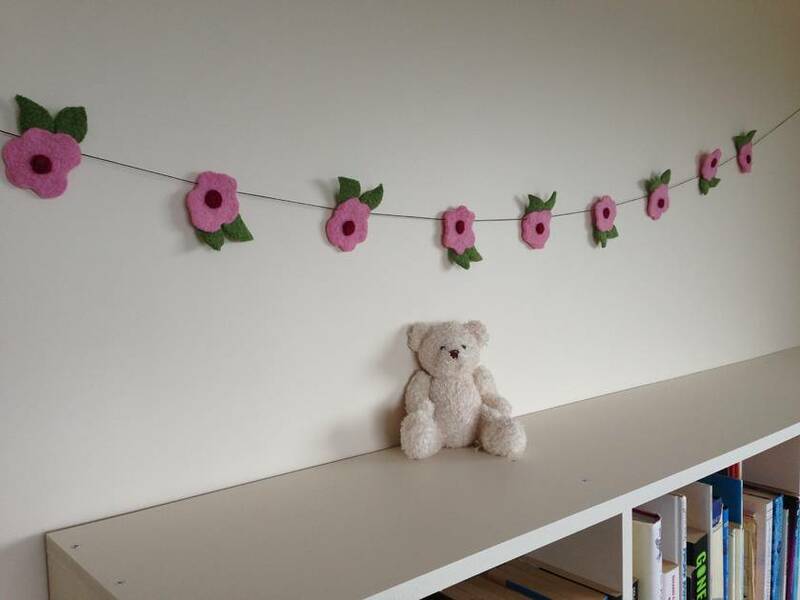 The Flowers and leaves then are hand cut and strung up on 3.5 meters of very sturdy cobbler's thread. They can be moved along the string freely. There are about 50cm of string on either side so you can tie them to objects. 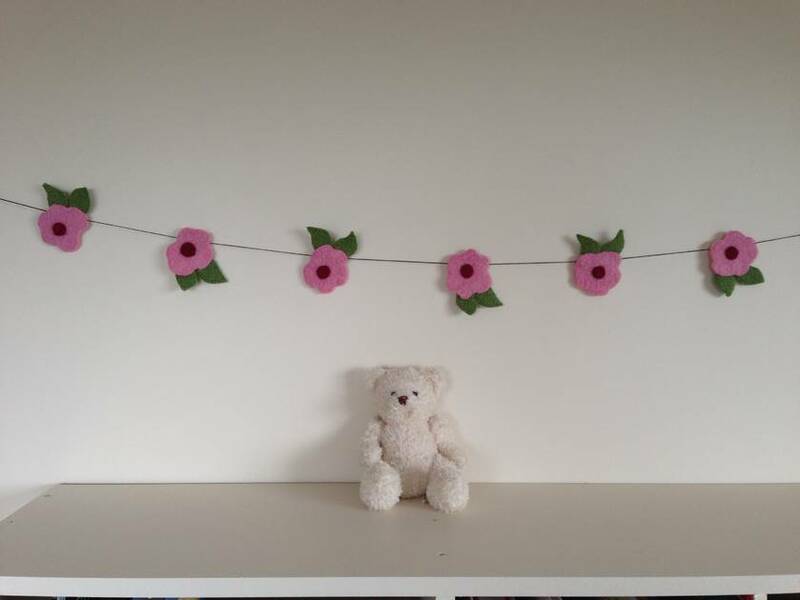 This bunting makes a beautiful wall decoration for a child's bedroom but can also be used for special occasions like garden parties, birthdays or other celebrations!